​Life Groups are discipleship classes for anyone and everyone. These classes meet for eight weeks or six weeks at a time and take the place of our evening worship service. Please come to the Fellowship Hall at 6:00 P.M. and you will be dismissed from there to your classes. 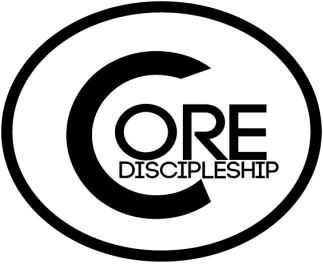 Core Discipleship is a series of courses that we as a church believe will help develop equipped followers of Christ, mature believers, and strong evangelists. These courses are offered at different times throughout the calendar year and we highly encourage all who attend FBC Wildwood to participate in each course. The courses last about two-three weeks and are taught by the staff at FBC Wildwood. We look forward to seeing in our next Core Discipleship course. This course focuses on the beliefs, doctrine, strategy, structure, and mission of FBC of Wildwood. This membership class is a perfect way to connect and know what discipleship, ministry, and service opportunities are available to you through our church. This class will focus on the spiritual development of the body of Christ. Spiritual maturity is developed over time and is a process that involves spiritual disciplines, spiritual commitment, and understanding that there is always room to grow in your walk with God. Ever wonder what your spiritual gifts are? This course will help you figure out what you have been gifted with and how to funnel that gift into a passion for ministry. We hope to see you leave this class ready to plug into a ministry within the church and serve wholeheartedly.